This article will provide you understandings, practices and exercises to build your own self esteem or help others with low self esteem. Table of Content is provided in case you prefer to click on a sub-title and go to that specific section of this article. 2 What is low self esteem? 3 What causes low self esteem? 4 Why do I have low self esteem? 9 How to build self esteem? 11 How to help someone with low self esteem? Are you tired of feeling not good enough or less than? Is low self esteem stealing your happiness and keeping you small? Do you feel that low self esteem is limiting your potential? Is your low self esteem hiding your greatness from yourself and the world? Is your low self esteem holding you back in manifesting your goals and living your dream life? Or, may be, you are hiding low self esteem behind a mask of confidence and feeling unfulfilled? Are you in an endless race of accumulation of achievements that leave you empty at the end? Or, you are satisfied with your own self esteem but you desire to help someone with low self esteem? Does your heart sink when you observe the pain of a loved one with low self esteem? In any case, there are ways to transform low self esteem into the joyful knowing of innate value of your essence, as well as, – to help others to do the same. Low self esteem is synonym of low self-worth or lack of self-worth. Low self esteem is the lack of self-belief and knowing of your inherent value, – that is independent of any physicality. Low self esteem is born from buying into the false belief that your self worth is dependent of behaviors, or achievements, or physical appearance or anything else physical. If you suffer from low self esteem then you bought into the false belief that you lack or that you are flawed in some way. You subconsciously accepted as truth, the lie that you are not good enough. Most human beings have some beliefs of lack of self-worth. The difference among humans is the degree of lack of self-worth. In which areas of your life do you believe you are not good enough to have and experience what you desire? Low self esteem is not to be confused with lack of confidence. Although they are related in that low self esteem contributes to lack of confidence, there are differences between low self esteem and lack of confidence. Low self esteem is related to false beliefs of unworthiness, while lack of confidence is related to limiting beliefs of capabilities. For a more complete description of the difference and examples, go to: What is the difference between lack of confidence and low self esteem? There are two (2) categories of causes of low self esteem. The first cause of low self-esteem is the self-directed negative emotions of shame, self-loathing, and self-rejection. The second cause is the beliefs of unworthiness and beliefs of not deserving. These causes of low self esteem are imprinted in our subconscious mind and generate vibrational frequencies that – by virtue of the Law of Attraction bring people and experiences that augments low self esteem. This is a toxic or negative emotion with one of the lowest vibrational frequencies that is directed toward ourselves. There are two variations of these toxic emotions: shame of who we think we are and shame for something done or not done. Shame results in a deep feeling of inadequacy and/or embarrassment for who we think we are – and/or for something done or not done. This negative emotion is the result of a distorted self-image and self-concept, which contradicts the higher truth of our magnificence. Shame results in poor self esteem because we are judging ourselves and/or our actions as inadequate, embarrassing, flawed or deficient. Shame for something done or not done is not the same as guilt. The difference between shame and guilt is that guilt is remorse or self-blame of having hurt somebody – while shame is a harsh judgment of our actions being inadequate or flawed. This is another toxic emotion of very low vibrational frequency. A synonym for self-loathing is self-hate. This is a very intense negative emotion of hate and despise toward self. If we carry self-loathing in our fields or bodies, we have very poor self esteem because we are severely judging ourselves. Self-loathing is a severe form of self-rejection. Intense shame leads to self-loathing. This is also a toxic emotion of dislike of who we are. The opposite of self-rejection is self-acceptance. Self-rejection contributes to low self-esteem because of the associated poor self-concept. In addition when we hold self-rejection, we tend to attract rejection from others, which further deepens low self-esteem. Let us first define worthiness and self-worth in order by contrast understands unworthiness and low self-worth. Worthiness is a steadfast knowing that every being including ourselves is worthy to be, to do, to have, to experience and to create everything it desires. Worthiness is not attached to any social requirements or agendas. It is innate and inherent to every being as a magnificent individualized expression of Source. Worthiness is not gained; it is always present and never taken away by Source or your Higher-self. Worthiness is not a function of the past or of things done or not done, it just is always. It is our altered human ego that uploads corrupted programming to our subconscious mind that results in buying into false beliefs of unworthiness, which result in low self-esteem. Beliefs of unworthiness includes the acceptance that in some ways we are flawed, we are deficient, we are inadequate, we are less than, we are not good enough and there is something wrong with us. Deservedness is defined as having to earn through effort, action or deed the right to something. It is the human system of punishment and reward. Once you recover the knowing of worthiness as a given that does not need to be earned, your beliefs of unworthiness are gone along your beliefs of not deserving. If you have low self esteem, then you are holding, for sure, shame and beliefs of unworthiness. In addition you are likely to be holding self-loathing, self-rejection, as well as, beliefs of not deserving. You might not be consciously aware of the negative emotions and limiting beliefs that are causing your low self esteem. They are components of programs of your subconscious mind. In addition negative emotions are stored in your body, it is often referred as cellular memories. Traumas are defined as those life events that triggered in you high intensity negative emotions. Those life events that triggered in you high intensity emotions of shame or self-loathing or self-rejection are the culprits of your low self esteem. This category of traumatic life events uploaded to your subconscious mind beliefs of unworthiness or re-enforced the already existing programs of unworthiness. It must be mentioned that whether or not you are triggered with high intensity negative emotions is a function of your perspectives and interpretation of the event. This explains that a same event can be traumatic for you and not for your sibling. For example some children are triggered with shame and beliefs of unworthiness by a teacher’s criticism of their performance in front of the class while other children are not. Some life events that are clear examples of traumas are any kind of abuse (sexual, physical or emotional). Also most babies or children given to adoption are traumatized with feelings of abandonment and not being good enough. What are traumatic life experiences? You have not only inherited the color of your skin but also inherited the programs, beliefs and associated emotions of your ancestors’ traumatic experiences. This is applicable to the category of traumatic life events that created shame and beliefs of unworthiness. In other words, low self esteem might have been passed down to you through generations in your lineage. Please do not let this be discouraging to you. The good news is that you have the choice and power to transmute shame into self-love unworthiness into worthiness. Traumas of your parallel lifetimes or past lifetimes are also sources of shame and beliefs of unworthiness causing low self-esteem. Although past life regressions or accessing information from the Akashi records can be helpful, there is no need to bring to our conscious mind the traumas of past lifetimes or the traumas of our ancestors. There are modalities that simultaneously heal all traumas with similar patterns without having to access past lifetimes. My favorite modality to heal traumas and end unwanted repeating patterns is called repairing core fractures. Children absorb information very easily and their self esteem is highly influenced by parents, teachers, siblings and even friends. Often time parents and teachers with the good intention to motivate a child offer critics that lower self esteem. Parents and teachers need to offer constructive criticism in positive and encouraging ways. In addition they need to offer a much large number of remarks for what a child did well than the number of remarks of constructive criticism. When parents and teachers are not conscious of how they word a constructive criticism, it can cause trauma for the children. A criticism, even constructive criticism, can trigger shame in the child and uploading of beliefs such as: I am never good enough, I am bad, I am not worthy of love, I am a failure etc. The challenge is that if parents and teachers do not themselves have a very high self esteem, then it is very difficult for them to focus and notice the positive behaviors, the strengths and achievements of the children. The reason is that their subconscious minds have the habit of finding the negative both on themselves and others. Therefore one of the best decisions that parents and teachers can make is to work on enhancing their own self-worth. It is a win-win for them and for the children they influence. 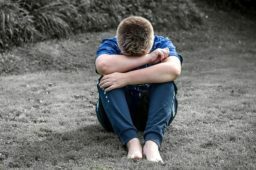 In addition to the traumas caused by well-meant parents and teachers through criticism, – there are a number of more obvious childhood traumas of verbal, emotional, physical and even sexual abuse. Adults with high self worth never abuse others in any way, much less children. Getting bullied by other children is also a cause of trauma that can be very painful and traumatic for the child or teen being bullied. There are numerous categories or archetypes of low self esteem because there are a large number of shades and degrees of lack of self worth or unworthiness. In this segment we are describing four (4) distinctive archetypes of people with low esteem. However keep in mind that you might not recognize yourself in any of these four categories. You might be a blend of two or more of these archetypes of self esteem. You might have a low degree of unworthiness; in other words your self esteem is high compared with most people you know. An interesting and unfortunate fact is that full on self worth is very rare for human beings on this planet. According to Julius, only about one thousand people on this planet completely accept and know their self worth. This information from Julius is given in the description of a very empowering course titled Healing Shame and Unworthiness. This is less than 1 person per every 1 million people. In other words, you probably can count with your fingers the number of people in your city that fully accept, know and embrace their self worth. People that exhibit this category or archetype of low self esteem are very shy and timid. They are easily embarrassed and often time they suffer of blushing – which further feeds the embarrassment and feelings of inadequacy. Depending of the severity of their bashful nature, they can suffer of social anxiety and performance anxiety. The social anxiety can be so severe in bashful nature people – that they are triggered with anxiety just by the thought of leaving their home to run an errand. Or their social anxiety can be less severe and only triggered by certain people or group of people, such as authority figures or men or women. People with a bashful nature not only suffer from low self esteem but also suffer from lack of self confidence. They project an image of lack of self confidence. They have beliefs of inability to make new friends and to socialize. In addition they believe that they are not good enough to be likeable by other people. A segment of people with a bashful nature strive for achievement and push themselves hard to achieve goals just, – to find themselves exhausted and sabotaged by their low self worth and lack of confidence. I am an example of someone who used to embody this segment of bashful nature archetype. Other segment of people with a bashful nature succumb to their low self esteem and lack of confidence and end up with addictions and/or depression. This archetype of people project an external image of high confidence despite their inner low self esteem. They are usually overachievers and dependent of external validation to gain temporary self esteem. Since they get a temporary boost of self esteem from external achievements, they usually not aware of their inner low self esteem. They are hungry for praise and recognition from others. Therefore they work hard at achieving and standing out to gain praise. However they only feel short term satisfaction with their achievements and accumulated accolades. Each time they receive an unfavorable feedback or criticism the inner low self esteem rushes to the surface and they feel crushed. The external world sees them as very successful and confident individuals. They might even be perceived as role models. However, the reality is that they burn themselves out in their pursue for more and more success and achievements. They often sacrifice their personal relationships and their health in lieu of professional achievements. There are not enough achievements and accolades to compensate for an internal lack of self worth. It is an endless race. This archetype of people is very needy because of their low self esteem. Because of their neediness and lack of self worth they seek out people who are givers. They use other people (usually their romantic partners) to try to fill their emptiness and lack of self worth. Narcissists take from others the attention and love that they are unable to give to themselves because of their lack of self-worth. Narcissist can be very manipulative in their quest to take from others. There are many shades of narcissist and several categories; however the common denominator is low self-worth. This is not evident because of their selfishness and egotistic behavior; they might seem to have high self esteem and confidence. This is just a false external image or mask covering their internal low self esteem. The co-dependents are over-givers and pleasers because they believe that by giving they will be reciprocated with the love they starve. They often tolerate and allow abuse because of their low self-worth. They tend to attract people who are takers (narcissist) especially in the arena of romantic relationships. Narcissists are only able to reciprocate crumbs of love mixed with some spikes of emotional or even physical abuse. Then the self esteem of the co-dependents sink even more. When co-dependents end their romantic relationship because the pain of the abuse is greater than the crumbs of love, unfortunately they are attracted to a new narcissist partner in a cycle of repeating pattern. To break this painful cycle, the co-dependents need to work on healing themselves to recover their self-worth. There are a large variety of symptoms of low self esteem because there are a large variety of categories, shades and degrees of lack of self worth. The list below includes the most typical symptoms of low self esteem. You might identify that you exhibit one or more of these symptoms. Keep in mind that even one symptom is an indication that self esteem is not full on. Seeking weakness in others and judging them in an effort to feel better about ourselves and quench some of our low self esteem. It never works because even if we get a boost of self esteem is temporary and very unstable. Any of the following thoughts in our mind chatter: I am not good enough. Who do you think you are? Something is wrong with me. In previous segments of this post we talked about the causes of low self esteem, as well as the sources of low self esteem that are equally applicable to girls and boys. For girls, there is an additional contributor to low self esteem. This additional component of low self esteem for girls is the pressure to fit in social standards of physical appearance and beauty. Young girls learn from social media, friends and sometimes parents that they are supposed to look certain way. Basically they learn the false concept that their value is a function of their looks. Young girls end up with the false belief that they have to look like models to be valued as girls in society. Then, they are frequently comparing their looks with idealized versions of body weight and shape. Girls with low self esteem often time end up developing an eating disorder such as binge eating or anorexia. Girls tend to be criticized and made to feel inadequate for their looks at a much earlier age and more frequently than boys. As a result, girls become very sensitive to even slightly unfavorable remarks about their physical experience and their self esteem spiral down. Girls with low self esteem believe that the physical appearance defines them and their physicality is who they are. As a result they buy into low self esteem beliefs: I am not good enough. I am not beautiful enough. I am not worthy. In addition, when girls are transitioning from being child girls to teenager girls with the associated physical changes, they can feel inadequate and their low self esteem is augmented. Sometimes girls can feel shame of becoming a woman; they reject their bodies. Therefore since shame is the culprit of unworthiness, low self esteem is augmented. For information on how to help girls with low self esteem go further down on this article to the segment sub-titled: How to help someone with low self esteem? In addition a very powerful resource to gain self-esteem is the course titled: Healing Shame and Unworthiness. This course includes meditation, exercises and practices to release shame and unworthiness and to discover and embrace your authentic self. Check out the description of the content: Healing Unworthiness and Shame. Would you like to know the amazing truth of your birth-date and authentic self? The answer is just one of the many useful and empowering topics covered in this course. High self esteem is not to be confused with arrogance. High self esteem as opposed to arrogance is not gained through comparison and a feeling of superiority. People with high self esteem know, embody and embrace their inherent worth, – as well as know that every other being is equally abundant of worthiness. They do not compare themselves with others, instead they embrace their uniqueness and they are happy and grateful for who they are. They never feel neither inferior nor superior to others. People with high self esteem radiate from within an authentic confidence of self-respect and respect to others. Therefore they are masters at maintaining healthy relationship boundaries – staying centered in love for themselves and others. People with high self esteem stay centered in the knowing of their self worth and are not affected by any criticism. They give a consideration to constructive criticism in a calm way – to extract potential learnings. Since they are not triggered by any criticism they are free to be authentic. Self love is a sign of high self esteem. Self love goes hand in hand with high self esteem. People with high self esteem love themselves unconditionally. In others words, they never go down the route of self-judgment or self beat up mode. In addition they love and honor their bodies as the temple that houses the light that is within them. As a result they effortlessly take optimum care of their physical bodies. People with full on or very high self esteem do not engage in judging others. They are compassionate toward others that have forgotten their innate self worth. They recognize the light in others even when that light is completely dimmed down. Those people that embody high self esteem feel free to be their authentic self. They feel comfortable in showing to the entire world their authentic self. They are free from fears of being seen and heard. They feel at ease to express themselves freely and fearlessly without feeling the need to adhere to social standards. For example somebody with high self esteem feels free to show emotions in public or free to wear some unique clothing that does not fit social standards. They are clear of their authentic values and live according to them while respecting other people boundaries. High self awareness is another sign of high self esteem. People with high self esteem keep a strong connection with their inner self. They are aware and curious of their thoughts, emotions and feelings. They are in-tune with their emotions and their bodies. They feel content and comfortable spending time with themselves without external distractions. Although they enjoy relationships, they are not dependent on relationships to feel happy. Human beings that embody a high self esteem have the ability to take inspired actions. In other words they are guided by the authentic desires of their hearts – and they dance in the flow of life with ease, joy and in harmony with others. Embracing mistakes, as an opportunity to learn and grow is a sign of high self esteem. This enable people with high self esteem to take risks fearlessly – and to harness the lessons from mistakes without any self judgment or dent in their self esteem. Another sign of self esteem is inner peace. When you know you are valuable no matter what, you are free of worries. You are not worried of what others might think or say about you. You are not worried by any type of lack, whether financial, love or health. In that case, you exude inner peace. You live mostly in the present moment harnessing the power of now. Being responsive to live events as opposed to being reactive is a sign of self esteem. Responsive means acting from an internal place of peace and calmness with understanding of others – and recognition that others reactiveness and judgments has nothing to do with you. Being enthusiastic about life is a sign of high self esteem. When your self worth is full on, you wake up every morning with great enthusiasm and gratitude for life. Your vibrational frequency is high because you feel love, joy, peace, enthusiasm, gratitude, optimism, peace and harmony. You radiate happiness from within. You radiate inner beauty. You love yourself, you love others and you love life. Your high vibrational frequency state keeps you youthful and in vibrant physical health. Embracing and embodying personal power is a sign of high self esteem. The higher your self esteem or self worth is, the higher your personal power is. Personal power is knowing and embodying your conscious creation power. When you 100% uncover your self worth, – you know and feel that every one of your heart desires and dreams are available for you to manifest. You feel supported and loved by all life. With high self-esteem (self-worth), you are a master of Law of Attraction manifesting your heart desires consciously. Personal power or empowerment also means to take responsibility for all your thoughts, emotions, feelings, behaviors, actions and manifestations. With high self esteem, you take self responsibility for everything in your life because you know that you are the architect of your life. You are conscious of your process of manifestation; therefore self-responsibility is joyful instead of burdensome. You do not feel the need to control others. You allow others to be, without judging them – and at the same time you keep healthy boundaries. You are a positive influence by inspiring others to embrace their self worth and personal power. You lead by example. You exude authentic confidence without even trying to be confident. When you find yourself orchestrating win-win good for all interactions in all your relationships, recognize it as a sign of your high self esteem. The win-win good for all abundance mindset is applicable to all your relationships, – from relationships with people at personal and business level and extends to relationships with mother earth and all components of nature. How to build self esteem? The root cause of low self esteem or lack of self worth is trauma. Regardless of the origin of the traumas: generational trauma, childhood trauma or other, – healing the traumas returns you to wholeness and knowing of your inherent self-worth. Regain an unshakeable knowing of your self-worth. Re-build your self esteem that naturally belongs to you and that you had lost during traumatic life events. Recover all the energetic pieces that knew self esteem. Transmute toxic emotions of shame, self-loathing and self-rejection into self-love. Healing traumas not only builds your self esteem but also is key to your happiness. For a detailed description of traumas go to: How to break free from the negative effects of past traumas? I am so stupid I said that -It is possible to always accept and love myself. I am not good enough to get job x -It is possible that I am more than good enough to get job x. -What if I am more than good enough to get job x? -I am more than good enough to get job x.
I hate my looks -I wonder how can I accept and love my looks? -I wonder how can I recognize the inner beauty that shines through my eyes? Select 5 to 10 positive affirmations, from the self loving thoughts that you constructed in the process of replacing the self-judgment thoughts. Choose those affirmations that resonate with you as having some truth to them. For example if you say “I love myself for being playful and authentic” and you feel resistance and feel like you are lying to yourself, then choose “It is possible to love myself for being playful and authentic”, or “It is possible for me to be authentic” or “How can I be comfortable being me in from of people?” or “What if I have in me the courage of being authentic?” or “What if I have fun being authentic in front of people?”. Say or read out loud the positive affirmations preferably looking at your eyes in front of a mirror twice a day. If you are inspired to do more than twice, it is even better. Each time you say the affirmation pay attention to your emotions and allow yourself to feel the emotions. If you have chosen some or all affirmations in form of questions, then do some journaling answering the questions. Journal about: How would you feel? What opportunities would open for you? How much fun would it be? Continue with a given set of 5 to 10 affirmations for at least 21 days or more if needed. If after 21 days you still not feel that the positive affirmations are a steadfast truth for you, – then continue with the same set until you do. Once you have internalized a given set of positive affirmations move on to a second set. If your have low self esteem, then you are conditioned to focus and seek out evidences to support your beliefs of unworthiness. This process goes on mostly subconsciously until you make the conscious choice of paying attention to your mind chatter. To reverse your subconscious habit of focusing and noticing things to criticize yourself for, – you need to make the conscious choice of focusing on things to appreciate yourself for. Therefore, pause multiple times during the day and ask yourself: What can I appreciate about myself? Then write it down. In addition do some focused journaling each night and write down statements of gratitude and appreciation toward yourself. You can write about things you did during that day, as well as, anything from the past that made you feel proud of yourself. In addition; pay attention to your progress as you implement these practices to build your self esteem. Did you notice that the number of self judgmental thoughts have decreased over time? Did you notice that your self esteem is increasing? Did you notice that you are less reactive? Each night, after you wrote down the self appreciation statements, read them calmly and feel the self appreciation in your heart. In addition you can read the statements in the morning to uplift yourself with the feelings of self gratitude. If you resonate with the following self appreciation statement add it to your list. The statement might sound grandiose but it is true for all human beings. You are and we are courageous souls that chose the challenge of the physical dimension playground to learn and grow. As we learn and grow as individuals simultaneously we are contributing to the expansion of the Universe and all, because of Oneness. Internalize it and remember your magnificence. Once upon a time, you knew your inherent self-worth. You knew that you are a magnificent multi-dimensional being. You knew that you are a light being having a physical experience. You knew that you are simultaneously an individualized expression of Source and the infiniteness of Oneness. When your altered ego took over, you bought into the belief that you are only a physical human being. You also bought into separation and the comparison game. To gain back the belief, acceptance and knowing of the magnificence of who you really are, construct some positive affirmations or mantras. What if I am a light being having a physical experience? Remember that if you feel resistance to a given positive affirmations, then you are not ready for it. In other words if you feel resistance to the positive affirmations starting with I am, then re-phrase them by adding: It is possible or what if. For information on using positive affirmations for building self esteem, go to the previous segment of this article sub-titled: Use self-loving thoughts as positive affirmations. You are a magnificent multidimensional light being having a physical experience. How to help someone with low self esteem? To help someone with low self esteem, I believe the most effective way is for them to engage on using a healing modality to clear the toxic emotions that are the culprits of low self esteem. Clearing shame, self-loathing and self-rejection is key to gain self esteem and self love. My favorite modality to clear toxic emotions is the Antidote process. The program includes a personalized Antidote codes and plenty of instructions and examples to follow along. If the person you want to help is a child, the mother or somebody very close to the child can act as a surrogate. If the person you want to help is a teen or adult, you can also suggest them to follow the practices and exercises described in the segment of this article titled: How to build self esteem? In addition, find below some suggestions or tips that you can implement to help one someone with low self esteem – in your daily interactions with them. These suggestions are especially helpful for fostering children’ self esteem because they are more malleable than adults. It must be said that when you are helping someone with low self esteem, always keep healthy relationship boundaries. This is especially important to keep in mind when the loved one with low self esteem is an adult. In other words, none of the tips, described below, for helping someone with low self esteem are to be exercised at the expense of sacrificing yourself. Offering unconditional love, empathy, understanding, compassion are to be exercised without giving up healthy boundaries and self love. For example if you love someone with low self esteem that have destructive behaviors, be cautious that you do not become the victim. Addictions are one of the potential coping mechanisms that people with low self esteem use that can result in unhealthy boundaries. Not to play down their emotions with phrases such as: “You should not be feeling …”, “Your emotions are irrational”, “What is wrong with you?”, “Men do not cry” etc. Expressing empathy and compassion for their feelings. This means not giving lectures about their feelings being wrong or inappropriate or inadequate in any way. Asking questions at the end of the day that are more related to experiencing as opposed to doings, such as: “What did you enjoy most in your day?”, “How did you feel when…” etc. Every human being has unique gifts and talents. However not all gifts and talents fit in the traditional box of society standards. As society we have defined success in very limited ways. We have defined certain careers as the only path to professional success. We have defined certain personality traits, such as extrovert being better than introvert. We have defined certain physical attributes to be more beautiful than others. All these tendencies in society contribute to augment low self esteem in people that are not able to fit in the boxes of society standards. The key for these people is to accept that they are equally valuable to any other being in the Universe in their unique expression. You can help someone with low esteem by allowing, appreciating and encouraging their uniqueness. Notice their unique gifts and talents. Express to them what you recognize in them and – why or how those unique gifts, talents and personality traits are valuable. Comparison with others is the plague that destroys self esteem. To help someone with low self esteem recognize and acknowledge their progress. Use comparison only as the reference of their own progress and growth. Never compare them with others, not even as a praise to point out superiority. The reason is that, superiority only exists as contrast to inferiority. This develops a need to achieve or put down others to feel a spike of self esteem. It is not true self esteem because it is dependent of externals. To end the epidemic of low self esteem, comparison with each other shall only be use as a wonderment and appreciation of the uniqueness of the different expressions of Source that we are. To help someone with low self esteem, love them unconditionally. This means compassion, understanding, kindness and no judgments. However, for you to be able to love someone unconditionally, first you need to love yourself unconditionally. If you are not there yet, work on increasing your self-love. Imagine a world where all human beings embrace and know their inherent magnificent self-worth, as well as, recognize it in every other being. There would be no wars, there would be no addictions, there would be no bullies, there would be no narcissists, there would be no cruelty and there would be no pain and suffering. Instead we would wonder in the divinity shining through each other eyes reflecting back our own self worth. We would dance in joy, harmony and gratitude for having mastered the challenges of the human journey. When you work on raising your self worth, you are simultaneously raising your vibrational frequency and inspiring others to do the same. The world needs you to re-discover your worthiness. You are an immensely valuable contributor to humanity, mother earth and the Universe. To raise your self-worth, you need to heal Unworthiness and Shame and embrace your magnificent authentic self. A resource to empower you to release unworthiness and shame is a course titled: Healing Unworthiness and Shame. Check out the description of the content of this deep and expansive teaching.